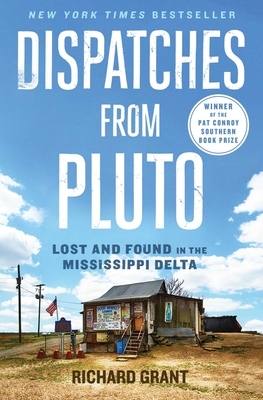 Dispatches from Pluto: Lost and Found in the Mississippi Delta (Paperback) | Turnrow Book Co.
Richard Grant is an award-winning author, journalist, and television host. His books include Crazy River, the adventure classic God’s Middle Finger, and American Nomads, which has since been made into a BBC documentary of the same name. "Grant takes a fillet knife and lays us open to the bone, like you might a catfish. He exposes our idiosyncratic insanity and brilliance, both the failure and the promise that are driven by an intimate yet remote love/hate relationship along the racial divide. It’s sad and beautiful at the same time." "An appealing stew of fecklessness and curiosity, social psychology and social dysfunction, hope and despair." "A lovely, appreciative and entertaining tour of the strange and rich Mississippi Delta."